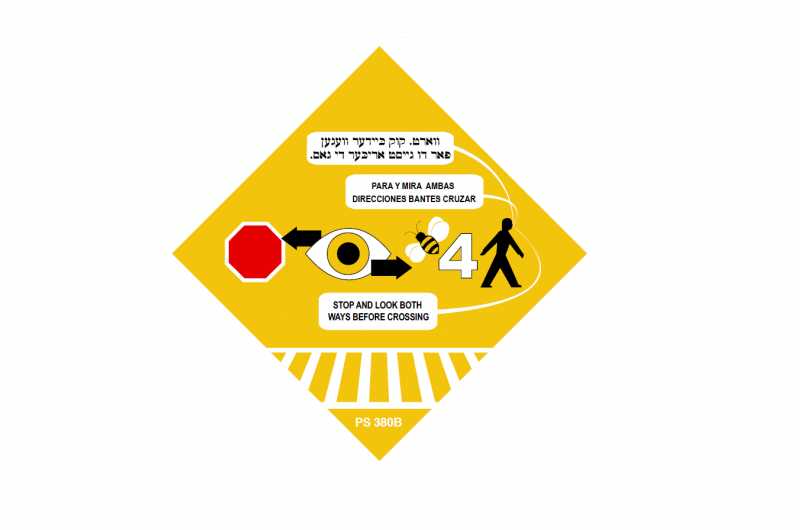 When we were young, all of us were instructed to look both ways before crossing a street. As adults, we continue to do this because it’s just common sense. If you don’t look both ways before crossing, you increase the risk of getting hit by a car… and that’s no fun (or so I’ve heard). Well, today I would like to make a suggestion. Just like we should always stop and look both ways before crossing the street, it is also wise sometimes to stop and look both ways when you reach certain points in life. What do I mean by that? Do I mean that on certain occasions (graduations, weddings, etc. ), you should just randomly stop and turn your head left and then right (or right and then left, if that’s more your style)? No, because that would be weird. I’m not talking literal stopping and looking here. What I mean is that, sometimes we reach certain points in life when you need to look to the past and the future before moving on with life. It may seem like I’m writing philosophical nonsense, and I’m in no way denying that possibility, but let me explain. I have reached the end of another semester at college. This past semester has been… interesting. My natural instinct is to say that it has been the worst. Then again, I call everything and everyone the worst, so why would this be any different? The truth is that this semester has been a rough one–not necessarily academically (though I did have one class that I hated with a fiery intensity hotter than a thousand blazing suns), but definitely in all other possible aspects. I won’t get into the nitty-gritty details, but I will say this: I don’t think I have ever felt more ready to put a semester behind me. Now I find myself at somewhat of a crossroads. I have gotten through this difficult point of my life. Are my troubles over? Definitely not. But I have stuff to look forward to–a study abroad in Europe, time with the family, and great living plans for next school year–and that’s what has gotten me through so much. I have a couple of months before all these exciting things happen, though. I see these two months as a rare opportunity to reflect on my past while looking forward to the future… in other words, it’s my chance to look both ways, so to speak. It was the best of times, it was the worst of times. Those are not only the first words from Charles Dickens’ A Tale of Two Cities but also the perfect description of this past semester. I have experienced both success and disappointment, friendships strengthened and friendships weakened, surprises both pleasant and unpleasant. I tried to fix my problems but felt I made things worse more often than not. I have laughed, I have cried, I have made mistakes. Sometimes I wanted to have meltdowns similar to the one below, minus the mascara. To be honest, like Liz Lemon, there were times where I wasn’t sure if I could take it anymore: “it” in this case being life in general. Yet I survived. I kept moving forward and it was worth it in the end. It might not have been the best time of life, but at least it’s done. And the best part about experiencing hard times is that feeling of relief you get once it’s all behind you. A part of me felt like, if I could just reach the end of the semester, everything would be great. This of course isn’t true. You can’t just go through life waiting for that time where all will be perfectly fine, because it just won’t happen. You could think, “Once I graduate, I’ll be happy,” or “I just need to get married, and then all my troubles will be over,” but the fact is that we’re always going to have problems. Having problems is just a part of life. Even though all my problems haven’t magically ended with this past semester, I can take what I have learned from this past semester and apply it as I move forward in life. Then I can keep in mind where I want to be in the future and apply that as well. Therefore, I am taking a look in both directions–past and future–before moving forward in this crazy road they call life. Today I would like to tell you a story about an introverted extrovert. You might be asking yourself, what is an introverted extrovert? Introverted extroverts are people who, from an outsider’s perspective, can only be described as introverts… that is, they’re quiet, introspective, and they often keep to themselves. On the inside, however, they long for strong relationships, and they need to be around other people in order to feel truly valued. Basically, they are introverted by nature, but extroverted by nurture. They would prefer to live an extroverted life, but they just don’t know exactly how to go about it. This, my friend(s), is my story. I am an introverted extrovert. 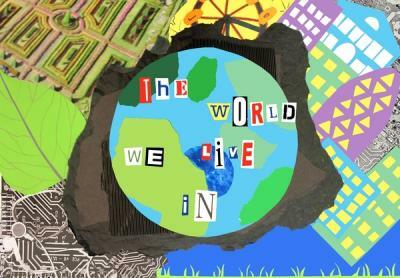 To illustrate just how complicated such a lifestyle can be, here are some posters I found on the internet. 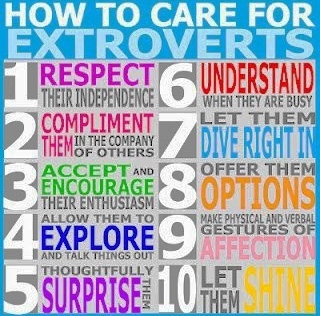 So how do you care for an introverted extrovert? By using a combination of strategies from each list. 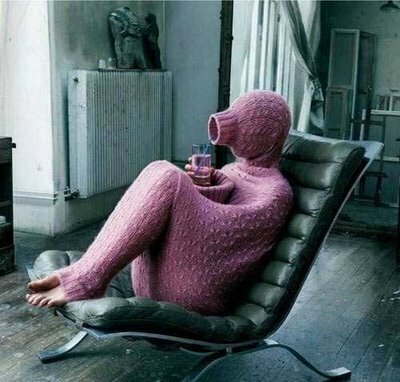 But nobody would ever do that, because nobody expects a person to be both introverted and extroverted. I, however, do not believe that anyone is completely introverted or completely extroverted. We all have a little bit of both in us–that’s my opinion, at least. There might be just a few exceptions to that rule, but not many. My journey to introverted extroversion has been a long, arduous one. When I was little, I had such a vivid imagination that I didn’t really need friends. I was perfectly fine just hanging out with myself. I had friends, but they were just an added luxury–not a necessity. As I grew older, and especially when I started college, I developed the need to associate with others. Naturally, as soon as I developed this need, I found it much more difficult to actually make friends. Isn’t that how it always goes, though? The more you need something, the harder it is to get it. That is just one of the unfair things about life. I started feeling the need to have friends in sixth grade. I was about 11 years old, otherwise known as that awkward “pre-teen” phase. My friendship-making skills have improved drastically for yours truly since then, but I still find that incessant need to constantly associate with others, as if the amount of time I spend with others actually determines my worth! In all honesty, I wish I could go back to my childhood mentality. I valued solitude back then. It didn’t matter if I was by myself or surrounded by loved ones–it was all the same to me. I was living in an introverted world, and I was an introverted boy. I find it especially difficult to be introverted on a Friday or Saturday night. On any other given night, I’m usually fine going about my normal, introverted life. But on the weekends, my extroverted self screams at me (again, not literally) that I need to do something social. I physically can’t allow myself to spend a Friday or Saturday night by my lonesome. I’ve tried it before, and I always make plans at the last minute in order to escape the shame of an evening in solitude. The younger version of me would shake his head in disgust at my desperate need for weekend company… then he would most likely try to strangle me (I was a surprisingly violent child). Why, why can’t I just spend a weekend night alone? Why can’t I just take some time off from being social? Why can’t I just throw a me party every once in a while? Unfortunately, it feels as though a me party is simply out of the question. 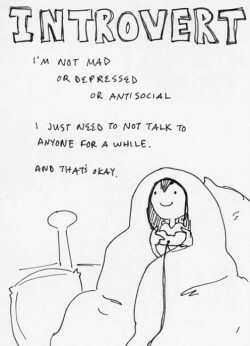 Thus is my life as an introverted extrovert. It’s rough trying to live a life that goes against what comes to me naturally. I wonder if other people experience a similar dilemma in their lives? Maybe I’m crazy (and many people have suggested that I probably am), but I kind of doubt I’m alone in this one. If anyone else suffers from the introverted extrovert dilemma, there is hope. As much as I think Hannah Montana is the worst, I think we should take her advice and get the best of both worlds! We can work on exploring the extroverted side of life while still embracing our inner introversion. There is nothing wrong with being who you are, after all–unless who you are is a serial killer. 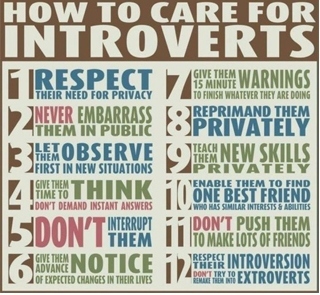 A quote comes to mind: “Whatever thou art, act well thy part.” So if you’re an introvert, be a good introvert. Don’t hesitate to be more outgoing, though. Still try building relationships with others. But don’t feel obligated to meet anyone’s expectations about how outgoing you need to be. If somebody tells you you’re too quiet, punch that person in the face. OR just ignore them… yeah, that’s probably a better (though admittedly less gratifying and fun) idea.